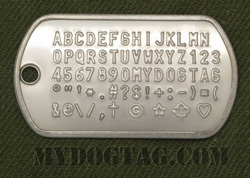 See more details about our Mothers Day Dog Tags or Customize yours now! 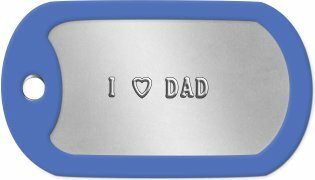 It can be tough buying a gift for dad on his birthday or father's day. 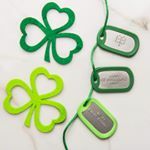 Dogtags make a great 'manly' thoughtful gift that your dad will actually want to wear... around his neck, with his car keys, or perhaps on his gym bag. 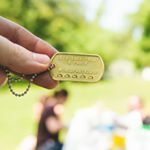 See more details about our Fathers Day Dog Tags or Customize yours now! 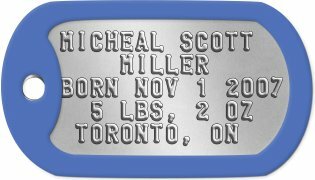 See more details about our Birth Memento Dog Tags or Customize yours now! 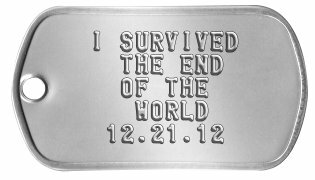 Commemorate your graduating class with a dogtag for each of your fellow classmates. 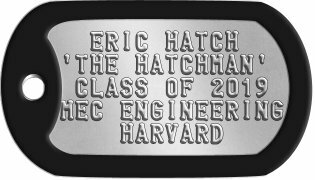 See more details about our Graduation Dog Tags or Customize yours now! Why not give a souvenir dogtag to each of your guests? 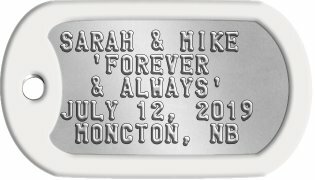 Each of them can be personalized with your guests name and the details of your wedding. Bulk discounts are available. See more details about our Wedding Guest Favor or Customize yours now! 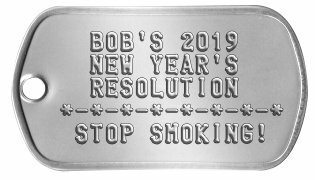 See more details about our New Year's Resolution Dog Tags or Customize yours now! 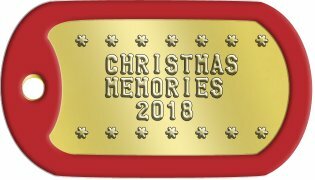 Our Brass, Copper, and Silver Steel tags with red and green silencers make great looking and unique Christmas tree ornaments. Personalize it with your favorite Christmas carol or sentiment. See more details about our Christmas Tree Ornament or Customize yours now! 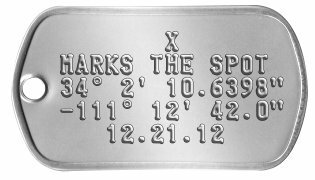 With the ‎° (degrees), ' (minutes), and '' (seconds) symbols you can put latitude and longitude co-ordinates on your dogtag. Perfect for remembering where you hid your buried treasure or geocache. 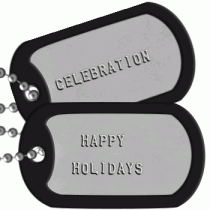 See more details about our Geolocation Dog Tags or Customize yours now! Memorialize an important event that just happened to you, after all you only lie once. 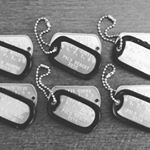 See more details about our YOLO Dog Tags or Customize yours now! All orders are shipped within 1 business day and are usually delivered within 1 week (in North America). 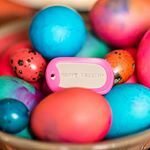 If you need any assistance creating or ordering your Special Occasion Tags please contact us directly, we are here to help!